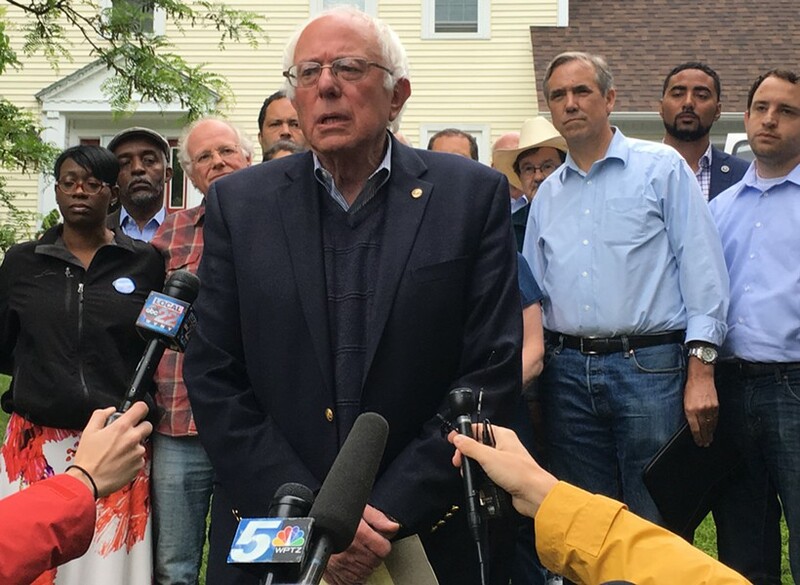 Sen. Bernie Sanders addresses reporters Sunday outside his Burlington home. Speaking Sunday outside his Burlington home, Sen. Bernie Sanders (I-Vt.) vowed to take his “campaign for transforming the Democratic Party” to its convention this July in Philadelphia. But he wouldn’t quite say whether he would continue seeking the party’s presidential nomination. “Well, we are going to take our campaign to the convention with the full understanding that we’re very good in arithmetic and that we know who has received the most votes up until now,” he told reporters gathered across the sidewalk from him. “We are united in saying that Donald Trump will not become president of the United States and that we will do everything we can to prevent that,” he said. “It goes without saying, in my mind, that ISIS must be destroyed and that we’ve got to do everything humanly possible to prevent these types of tragedies from occurring,” he said. After speaking for just seven minutes, Sanders crossed the street to shake hands with his neighbors and pose for photos. 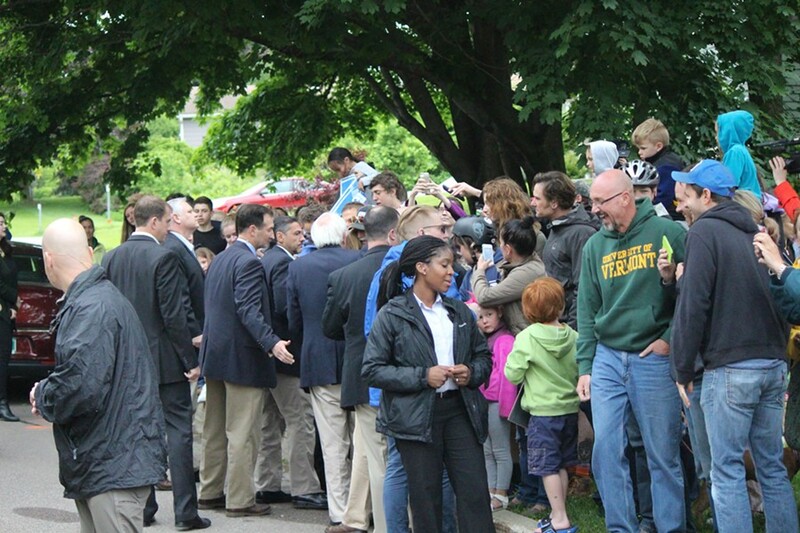 As he walked their way, many chanted, “Bernie! 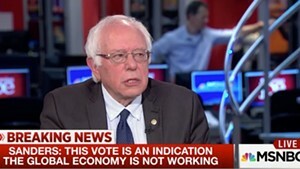 Bernie! Bernie!” He later retreated to his house, accompanied by campaign aides. Joining Sanders for the afternoon meeting were some of those who endorsed him early in his campaign and stumped for him throughout the country. They included Sen. Jeff Merkley (D-Ore.); U.S. Reps. Tulsi Gabbard (D-Hawaii), Raúl Grijalva (D-Ariz.), Keith Ellison (D-Minn.) and Peter Welch (D-Vt.); former Ohio state senator Nina Turner; South Carolina state Rep. Justin Bamberg (D-Bamberg); former Chicago mayoral candidate Jesús “Chuy” García; former Texas agriculture commissioner and progressive activist Jim Hightower; former NAACP CEO Ben Jealous; environmental activist Bill McKibben; and ice cream moguls Ben Cohen and Jerry Greenfield. Attendees were instructed not to speak to the press and were whisked away to waiting vans after the meeting concluded. 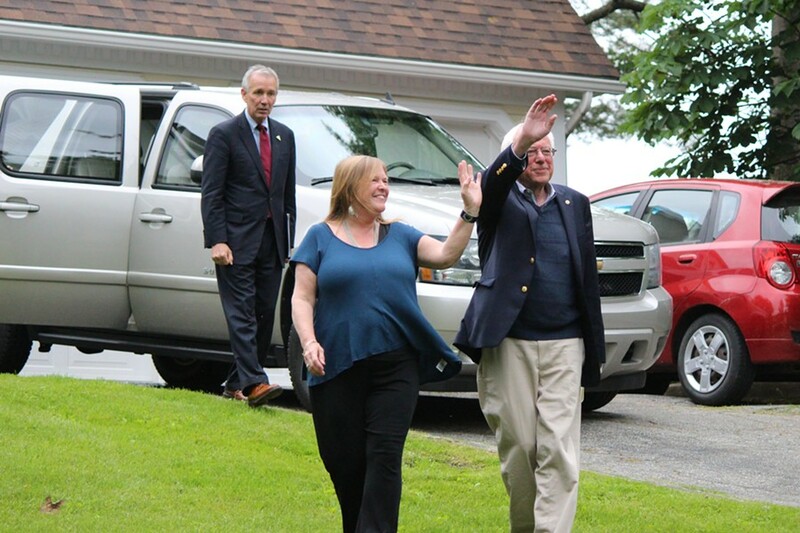 Sen. Bernie Sanders greets his neighbors Sunday in Burlington's New North End. 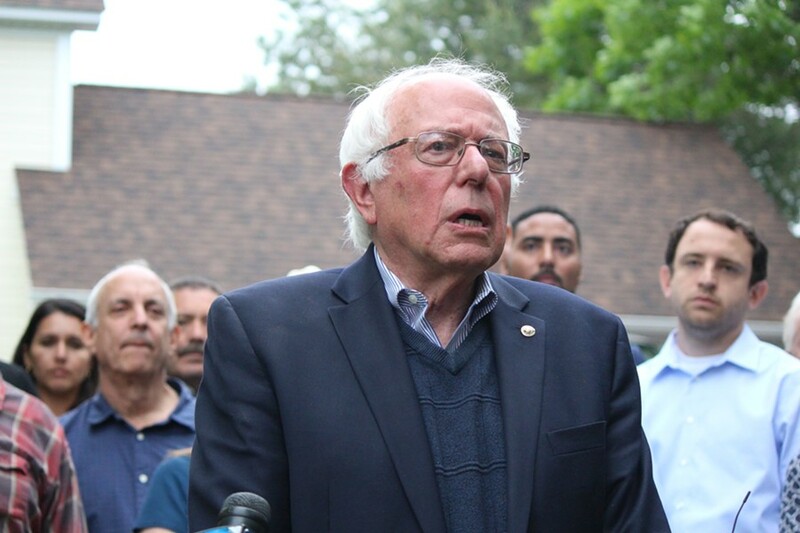 “We just had a good conversation about a lot of ideas and how we move forward,” said Garcia, a member of Illinois’ Cook County Board of Commissioners, before a Sanders staffer cut off an interview.